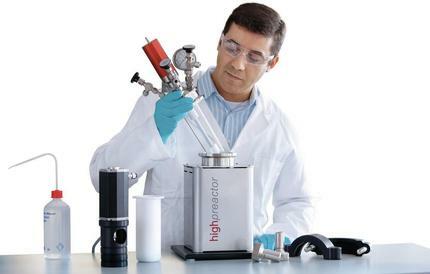 The modular design and flexible configuration options of Berghof highpreactor are a convincing response to the requirements of modern synthesis laboratories. Safety, reliability and economy are achieved through the use of high-quality materials combined with durable PTFE linings. For use with highly corrosive media thick-walled PTFE inserts or even the complete PTFE lining of all wetted parts are available. 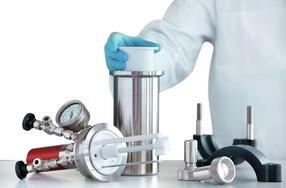 Due to its exceptional chemical resistance PTFE offers a reasonably priced alternative to special alloys such as Hastelloy. All fittings can be easily removed by the user (for cleaning, for example) and reinstalled with just a couple of hand movements. 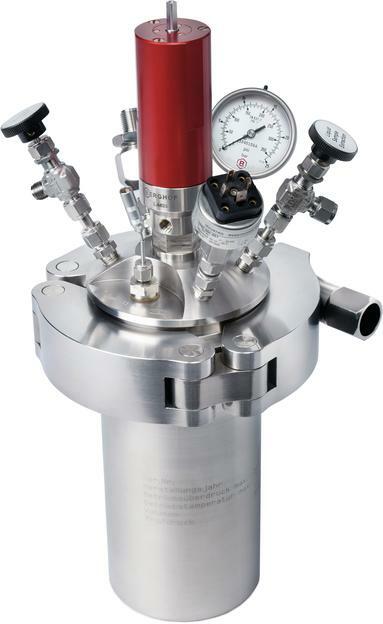 To make laboratory work easier a large range of capacities from 25ml to 4l, various stirring and heating technologies as well as temperature regulators and data loggers, round off the series. We use workshops and individual demonstrations to convey the necessary know-how, while a network of trained specialist dealers and the provision of a technical service ensure that we are able to offer rapid assistance with any questions you may have. We look forward to hearing from you.